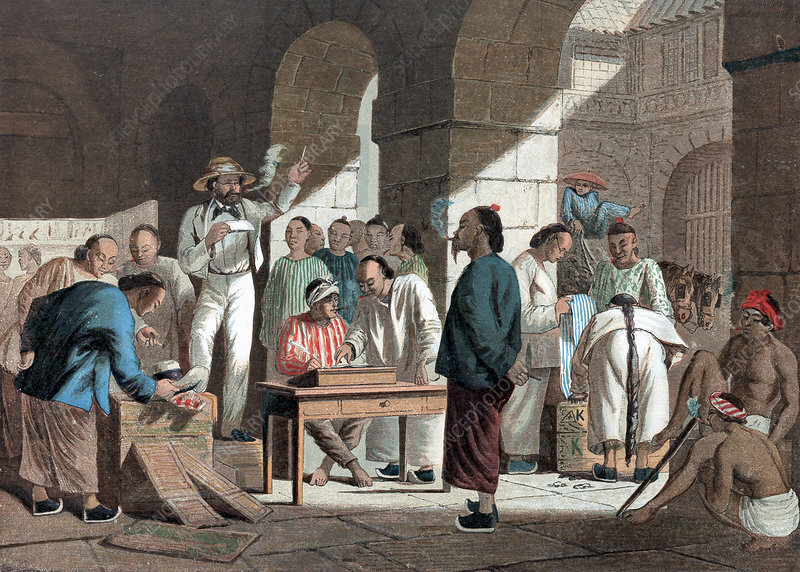 Sale of English goods in Canton, 1858. Canton was bombarded by French and English, Jan. Trade opening up again. The Treaty of peace and free trade signed at the end of June (Lord Elgin for Britain) ending the Second Opium War. Treaty Ports designated. Oleograph, 1858.